There's a $10,000 Toyota out there for every need. 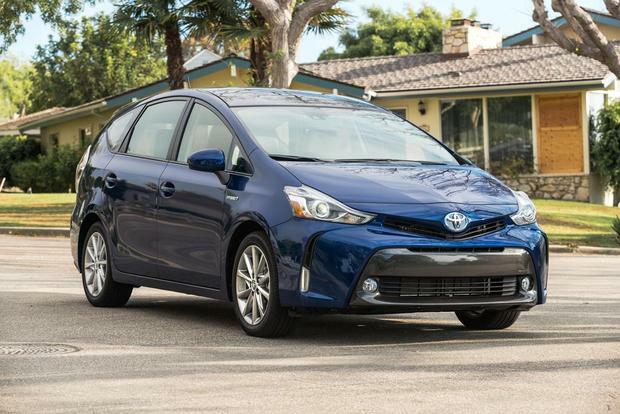 If you've recently purchased a hybrid car, we suspect you probably did it for the gas mileage. After all, while there are many benefits to hybrids, the biggest benefits are undoubtedly the money you'll save at the pump and the positive impact you'll have on the environment. But how do you make sure you get every possible mile out of each gallon of gas? We have a few tips to ensure you get the best possible fuel economy from your hybrid car. The biggest advice for maximizing your fuel economy: Slow down. While many cars are at their most efficient on the highway, you probably won't find yourself at highway speeds all the time. If you're in traffic or in the city, be sure to gently ease on to the gas pedal instead of mashing it so that your car can accelerate slowly. If you floor the accelerator, you'll overwork the engine and diminish your fuel economy. Likewise, when you're driving along, do your best to avoid constantly speeding up and slowing down. Try to figure out how to cruise so that you don't need to be pushing the accelerator in order to keep pace with traffic. That may mean intentionally leaving your foot off the accelerator as you coast down hills or leaving larger spaces between your vehicle and the car in front of you so you don't find yourself braking and accelerating so often. Another big tip: Use your hybrid car's brakes to your advantage. Most hybrids have regenerative braking, which means you can send power back to the battery by simply slowing down. As a result, you don't want to come up to a stop sign or a traffic light and jam on the brakes, as that limits the amount of juice getting sent to the battery. Instead, you'll want to ease into each stop in order to supply the battery with as much additional power as you can. EV mode is another item to consider when trying to maximize your hybrid car's gas mileage. Some hybrids -- though not all -- are able to run in fully electric mode up to a certain speed or under certain conditions. If your hybrid can run in EV mode, check to see what those conditions are and then try to ensure you're meeting them as often as possible. For instance, some hybrid cars can cruise in fully electric mode up to 25 miles per hour. If you're on a neighborhood street, be sure to not exceed that figure in order to maximize your gas mileage. Meanwhile, some hybrid cars can only run in EV mode if you aren't using a lot of accessories, so you may want to cut down on your use of air conditioning or other in-car niceties in order to improve your gas mileage.